Have you been thinking about what you'd like to change for the New Year? 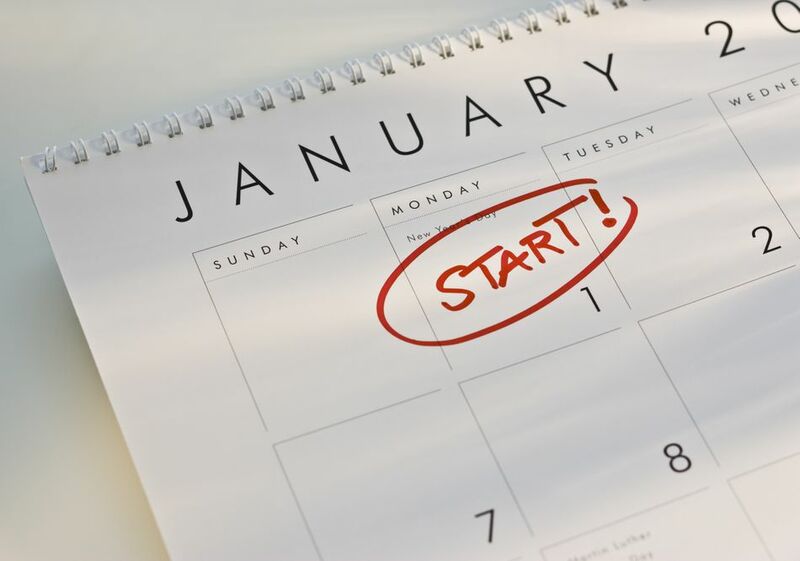 Most New Year's resolutions involve improving health or getting rid of a bad habit. Don't forget about improving your financial health and your bad credit habits in the new year. As you resolve to make some changes this year, add one or more of these credit or debt resolutions to your list. Get out of debt and save money are two of the most commonly made and broken New Year's Resolutions. Perhaps it's because people don't have a good plan for getting out of debt, or maybe they lose motivation in the middle of the year. Or, more likely, "getting out of debt" may be too big of a goal to accomplish in 12 months. Rather than trying to pay off all your debt (especially if you have a large amount), focus on a few key steps, putting together a get out of debt plan. Have your plan created no later than February and aim to pay off 10-20 percent of your total debt by the end of the year. Don't take for granted that the information contained in your credit report will be accurate. An FTC report released in early 2013 revealed that 26 percent of Americans have an error on their credit report that could potentially affect their credit scores. Five percent people have an error that would affect their loan terms. Mistakes happen, but it's up to you to correct those mistakes. A clean credit report is important especially if you plan to apply for a mortgage, car loan, or credit card. A credit report dispute is the best to get started removing negative information from your credit report. Keep a closer eye on your credit. Only one in five consumers checks their credit reports, according to the Consumer Financial Protection Bureau. If cost has been keeping you from checking your credit score, no worries. There are free credit monitoring services. Two websites, CreditKarma.com and CreditSesame.com offer free credit monitoring services. You don't to enter your credit card number or sign up for a trial subscription for either. You can also order your free credit reports through AnnualCreditReport.com once this year for each of the three credit bureaus. Monitoring your credit report helps you detect identity theft, ensure creditors are reporting your information correctly, and enables you to take action on credit/debt problems before they get worse. Need to fix bad credit? What are you waiting for? The New Year is as good a time as any to start repairing your credit. First, check your credit report to figure out what's causing your bad credit. Then, create a plan to deal with each of those things, e.g. dispute the account, offer a pay for delete, or let the credit reporting time limit expire. Rein in your credit card habits. Have you been using credit in a way that encourages debt, like swiping when you know you can't afford it? To change bad spending habits, first you have to recognize you have them. Then, you must consciously decide to keep your spending in check - even if that means leaving your credit card at home. After making good credit decisions for a few weeks, you'll find that good spending habits start to come naturally. The paycheck to paycheck habit is a dangerous one. All it takes is one big expense to send you to financial ruin, possibly even bankruptcy. Pulling yourself out of this bad habit may take several months and much self-discipline. Track your expenses, cut the things you can live without, and use a budget to give you some breathing room in your paycheck. Stop maxing out your credit cards. You're taking a big financial risk if you continuously charge your balance all the way up to the credit limit. You should always keep some available credit not only to protect your credit score, but also to leave room for an emergency (which you'd turn around and repay from your emergency fund). This year, resolve that you'll stop maxing out your credit card. When you have an emergency fund, you don't have to resort to credit or loans when you have a financial emergency, like a major car repair. Building an emergency fund can take considerably less time than paying off a credit card used to cover an emergency expense. The ideal emergency fund will pay for six months of your living expenses, but socking away $1,000 or $2,500 is usually a more realistic short-term goal. Essentially, interest is the cost of having credit. The money you pay in interest pads your creditors' pockets when it could be padding your own. You can pay less in interest by negotiating lower interest rates or paying your balances off sooner (or both). Transferring balances to a zero percent interest rate balance transfer credit card can also temporarily reduce your interest payments. Late fees are another unnecessary expense that goes straight to your creditors. Not only do late payments result in late fees, you might also see a spike in your interest rate (after a 60-day delinquency), a drop in your credit score, and loss of credit card rewards. These negative results can be avoided by paying your credit card bills on time. If you're having trouble remembering to pay your bills, consider autopay where the bills are automatically paid from your checking account. Write them on your calendar or create a bill payment checklist to keep track of what's coming due. To live within your means requires big changes. It means using a budget to keep your spending in check. Tracking your spending to figure out where your money is going. Finally, you'll have to stop using your savings or credit cards to extend your paycheck.